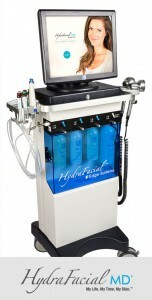 Skin Ltd is proud to introduce the latest advance of non-laser skin rejuvenation, the award-winning HydraFacial MD. It is an advanced medical-grade skin care treatment that targets fine lines and wrinkles, congested, oily and acne prone skin, rosacea and hyper pigmentation, or simply dry, sun damaged skin. Using a special water-vortex technology, it softens the appearance of large pores, improves skin texture and tone and helps repair existing sun damage. It is recommended for all types of skin. The treatment merges soothing and invigorating spa therapies with advanced medical technology to achieve instant and lasting results. Provides an excellent alternative to more invasive procedures like lasers, needling and microdermabrasion. The HydraFacial MD treatment is a non-invasive, non surgical procedure that delivers instant results with no discomfort or downtime. The procedure is soothing, moisturizing, non-irritating and immediately effective. The best part – it’s not just a quick-fix procedure. 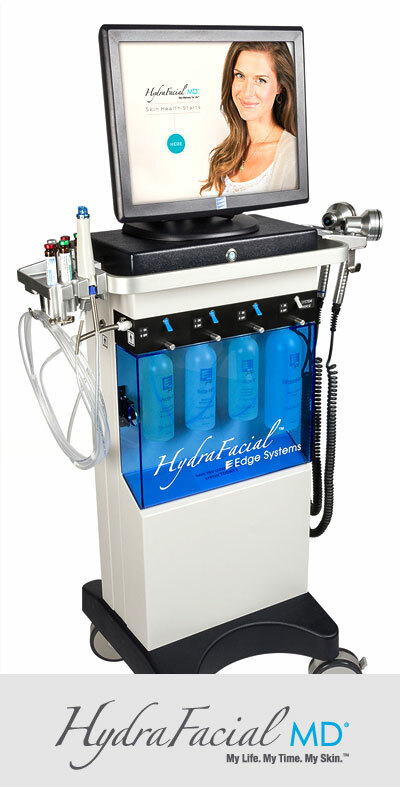 The HydraFacial MD actually improves the quality of your skin, helping to make it healthy. Watch a 3D video on how it works! The multi-step treatment cleanses, exfoliates and extracts to get rid of impurities and dead skin cells while at the same time quenching skin with vital nutrients like antioxidants, peptides and hyaluronic acid.